Rules and regulations for international students while at UNO. Read more in SEVIS & Immigration. Drug-Free Schools and Campuses Act: It is illegal to have controlled drugs or to share prescription drugs. Read the Campus Drug and Alcohol Policy. Equal Opportunity/Non-Discrimination: Know your rights and report abuses. Opportunities may not be denied on the basis of gender, age, religion, race, or country of citizenship. Sexual Harassment: All people have the right to be protected from unwelcome sexual attention. Unacceptable behavior can include sexual speech, visual contact, physical contact, unwelcome advances, or requests for sexual favors. Report sexual harassment to an advisor. Review the UNO Code of Conduct. Privacy of Information: UNO may not give out personal and confidential information about you. Alcoholic Beverages: Alcohol is not allowed on the UNO campus. It is illegal to drink alcohol if you are under the age of 21, and it is illegal to give alcohol to others who are younger than 21. It is also illegal to drink and drive a car or to be drunk in public. The U.S. State Department warns that a DUI (Drinking Under the Influence) arrest or conviction may lead to visa revocation or impact future visa issuance. Information about Drug and Alcohol Abuse Support. Smoking is not permitted on campus. Read the On-campus Smoke and Tobacco-Use Policy. On-campus employment: International students in F-1 status are allowed to work up to 20 hours on campus during the school year and full-time over the summer. At UNO, international students are eligible for student worker positions, but not for federally funded work-study positions. To learn about on-campus employment, contact UNO Human Resources. Approval is needed from an international student advisor in order to accept work that is not clearly an on-campus position. Off-campus work without authorization is illegal. Read more at UNO Student Employees. Student must be enrolled full-time, or in his or her final semester working on a thesis or equivalent. Student must have maintained F-1 visa status for at least nine consecutive months. The training must be an integral part of the established curriculum. Training must be recommended and approved by the student's academic advisor. Student must receive academic credit for the training. Download the Curricular Practical Training Application. Download addtional CPT Guidelines for IS&T Students. Students must have maintained F-1 visa status for at least nine consecutive months. Students must have completed their course of study, with the exception of thesis or equivalent. All students on OPT must report their employment using the SEVP Portal within 10 days of any change of employment. Download the Optional Practical Training Application from UNO and the Form I-765 from the USCIS. View the OPT Informational Presentation. Extensions for Students in STEM: Students who received a degree in science, technology, engineering, and mathematics (STEM) included on the STEM Designated Degree Program List may apply for a one-time 24-month extension of OPT. Students must currently be in post-completion OPT to apply for the extension. Employers must be enrolled in the USDHS E-Verify program. Applications must be received at USCIS before the expiration date on the OPT Employment Authorization Document (EAD) card and may be submitted up to 90 days prior to the post-completion OPT end date. Applicants who file on time, before the expiration date on the OPT EAD card, may continue to work after the expiration date of the card for up to 180 days while the extension request is pending. Download the OPT STEM Extension Application from UNO, Form I-765 from USCIS, and Form I-983 from ICE. View the STEM OPT Informational Presentation. University Off-Campus Work: Occasionally, UNO international students find positions that are paid by another campus in the University of Nebraska system. An international student advisor can approve work at an off-campus location, treated as on-campus, as long as it meets F-1 regulations. "On-campus" may also include work "at an off-campus location which is educationally affiliated with the school... The educational affiliation must be associated with the school's established curriculum or related to contractually funded research projects at the post-graduate level ... and be an integral part of the student's educational program." Visit International Student Advising for authorization prior to accepting a position. Work Authorization for Economic Hardship: After having F-1 status for one academic year, you can apply for economic hardship work authorization if you can prove that there has been a severe, unforeseen change in your financial situation that occurred after receiving your F-1 visa. Examples of an unforeseen economic hardship include loss of financial aid or on-campus employment without fault on the part of the student, substantial fluctuations in the value of currency or exchange rates, inordinate increases in tuition or living costs, unexpected changes in the financial condition of the student's source of support, and unforseen medical expenses. Work cannot begin until you have received an employment authorization card from USCIS. Students must see their advisor to complete the application process. Download the instructions and sample letter from UNO and the Form I-765 from the USCIS. J-1 student employment: Students who have jobs or internships must get approval from the Responsible Officer (RO) or the Alternate Responsible Officer (ARO) before employment begins. This work must be reported to SEVIS and can be documented for only 12 months at a time. The name and address of the employer must be recorded, even for on-campus employment, as well as the number of hours per week and start and end dates. In addition, the RO or ARO must indicate if the work is on- or off-campus. This includes paid or unpaid jobs or internsips. Who is my RO? RO stands for Responsible Officer, and ARO stands for Alternate Responsible Officer. These are school or program officials who have authorization to access your information in SEVIS, the Student Exchange and Visitors System. If you hold a DS-2019 issued by UNO, both people are UNO international advisors. If your DS-2019 was issued by another agency, your international advisor can help you reach the RO who works with your specific program. Academic departments who wish to invite an exchange visitor as a Research Scholar, Professor, or Short-Term scholar must contact the RO or ARO at 402-554-2293, ASH 241, to get an application form with detailed instructions. Your main purpose in the U.S. must be study, not academic training. The employment must be directly related to your field of study. You must maintain J-1 status during the training and apply for extensions as necessary. You must maintain health insurance for yourself and J-2 dependents during the training period. The regulations state that academic training can be authorized for "the length of time necessary to complete the goals and objectives of the training, provided that the amount of time ... is approved by (both) the academic dean or advisor and ... the responsible officer." It cannot go beyond "the period of full course of study," or 18 months, whichever is shorter. Doctoral students may take up to 36 months of academic training if it is required for the degree. Part-time training counts against the total time allowed for full-time training. Academic training following completion of study must be paid employment. Any prior periods of training from previous degrees will be counted against the total possible time granted. Academic training is available before and after a J-1 student completes a study program. This allows J-1 students to work part-time while school is in session and full-time during vacation periods. Under certain conditions, a student may take a break from study to work full-time. Students working on a thesis may be able to take advantage of this option. The following must be completed prior to the expiration date on the DS-2019. Plan ahead! Provide a copy of the employment offer from your prospective employer to the RO or ARO for the J-1 program at UNO. The objectives of your training program. A description of the training program, including location, name and address of the training supervisor, number of hours per week, and training dates. How the training relates to your field of study. Why it is an integral part of your academic program. Verification that you have adequate funds to support yourself during the training period. If you plan to use your salary to support yourself, salary information should be included in the letter from your prospective employer. Note that in some cases, internships for credit with or without pay must be documented as "Academic Training" and receive prior approval from RO. For more information, please make an appointment to meet your international advisor. If you are enrolled full-time, hold an F-1 or J-1 visa, and have a job offer, you can apply for a Social Security number. A receipt from the Social Security office is required to begin working at UNO. In addition, new students must be in the country for 10 days and registered in SEVIS for at least 48 hours before going to the Social Security office. Bring your UNO job offer to the front counter of the International Advising office and complete a Student Request Form. You will be contacted in a few days to pick up your Social Security Letter. Take your passport, form I-94, Form I-20 or DS-2019, Letter of Intent to hire from your UNO employer, and the Social Security Letter from your advisor to the local Social Security office. Ask for a receipt before you leave the Social Security office; the receipt will allow you to begin on-campus work. It may take days or even months to receive your Social Security card. For more information, check out www.ssa.gov. UNO will be hosting a Volunteer Income Tax Assistance (VITA) site each year for non-residents. 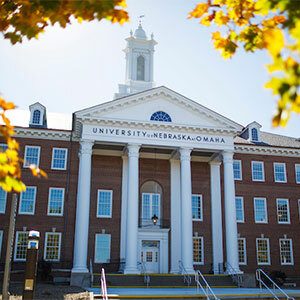 UNO coordinates this program with the U.S. Internal Revenue Service (IRS) and the Nebraska Department of Revenue. Any person who is considered a non-resident for tax purposes is welcome, and most international students and scholars fall into this category. All international students and their dependents who were physically present in the United States in the previous year are required to complete the simple form 8843, even if they earned no income. All students who earned income in the previous year are required to report earnings to the IRS and state government. April 15 each year is the deadline for filing tax forms. Tax forms are available at the VITA sessions and in the International Advising office. Please note that nonresidents are not allowed to file U.S. taxes electronically. Doing so will lead to filing incorrectly. Nonresidents must complete and mail paper forms. 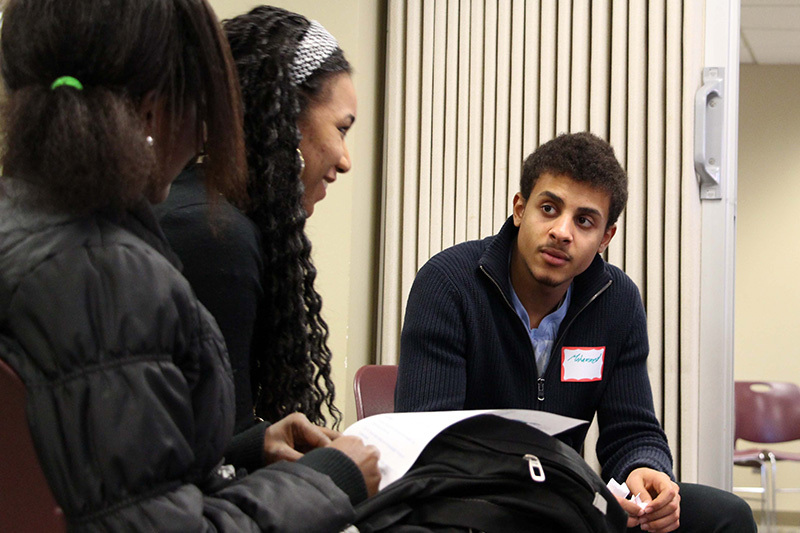 Information about the annual VITA sessions, including how to volunteer, will be available in the spring of each year. Watch for announcements from International Programs. Two weeks prior to departure, bring form I-20 or DS-2019 to the International Advising office and complete a Student Request Form asking that the that your document be endorsed or signed for re-entry. You may also request a visa support letter from International Advising if your visa has expired. You can remain in the United States on an expired visa with no penalty. A visa is used for entry into the United States and is required for re-entry. If your visa has expired, you will need to show financial documentation at your visa renewal interview. If your sponsor has changed, please provide an updated UNO Financial Affidavit and bank document so that your Form I-20 can be updated before you travel. Make an appointment at the U.S Consulate in your home country so that your visa can be renewed in time to return to classes. You will be contacted by an advisor in a few days to pick up the documents. If planning to re-enter more than five months after your departure, you will need a new SEVIS record/Form I-20, a new SEVIS fee payment, and a new visa. To travel, students on OPT should have proof of employment, their EAD card, passport, form I-20 endorsed for travel, and valid visa. If your F-1 visa has expired, speak to an international advisor before making travel plans. It is more difficult to obtain an F-1 student visa while on practical or academic training, as the issue of intent to return to your home country is harder to prove once you have finished your degree and are working in the United States. If you are not planning post-completion Optional Practical Training or academic training, traveling outside of the United States after graduation is not possible. F-1 students have a 60-day grace period after completing a degree, and J-1 students have a 30-day grace period. This period of time is meant for you to make plans to leave the United States. You can travel within the United States, but if you leave and re-enter, you may not return as an F-1 or J-1 student. Failing to comply with immigration regulations will result in the loss of student status. This is something you'll want to avoid, but if it happens, work with your advisor to resolve the issue quickly. Any student who is out of status with immigration loses all benefits of the student visa status such as on-campus employment. Deportation is also possible. Completed form I-539. Available at www.uscis.gov. "Reinstatement to F-1 status" should be written in Part 2, item 1, and the word "Reinstatement" should be written at the top of the I-539 form in red. The form I-539 fee, made payable to US Dept. of Homeland Security, should be in the form of a personal check, cashier's check, or money order. SEVIS form I-20, issued for reinstatement. A letter from the student explaining the situation and requesting reinstatement. A letter from the international student advisor explaining the situation. Copy of the new UNO financial affidavit form and supporting bank documents. Bank documents must be recently dated and can be original or photocopies. Any documentation that might help establish the nature of the status violation, to document that the violation occurred less than five months ago. If the reinstatement application is approved, the student is back in F-1 legal status with F-1 benefits upon receiving an approval notice from the local USCIS office. If the reinstatement is denied, the student's visa used to enter the United States is automatically canceled. The student is permanently limited to applying for non-immigrant visas in the future only in the country of citizenship or permanent residency. The student begins to accumulate days of "unlawful presence." If the student remains in the United States after the denial for more than 180 days, he or she would be barred from returning for three years. If the student remains in the country after the denial for one year or more, he or she will be barred from returning to the United States for 10 years. Personal check, money order, or cashier's check made out to US Dept. of Homeland Security for the processing fee. SEVIS form I-20 from UNO. This will be issued after you have been admitted to UNO. A copy of the U.S. visa stamp in the passport. A copy of the passport ID page. A copy of any current immigration status documents. A copy of spouse's immigration document, if applicable. A letter explaining reasons for the change is helpful, but not required. Paying the SEVIS fee is required. After receiving the form I-20, the SEVIS fee must be paid and the receipt printed. The receipt must be sent with the change of status application. Please note that approval is not guaranteed. Normal processing time is 90 days or more. Anyone whose current visa status prohibits study must have the change of status approval before beginning study. Dependents wishing to engage in full-time study must change their status to F-1. The change of status application must be approved before enrolling full-time at UNO. Information on changing status within the United States can be found in the previous section above. Notify your international student advisor of your intent to transfer to another school. Apply to the school. Most schools have a transfer form that your international student advisor will need to complete verifying that you are in good academic and immigration standing. Once you have been admitted, make an appointment with an international student advisor. Provide the advisor with proof of your admission to the new school and decide on a date for your SEVIS record to be released to your new school. When you arrive at the new school, you must process your new I-20 from the new school within 15 days. If you are traveling out of the country and there is less than five months between transferring schools, please inform both schools of your travel plans and be sure to re-enter the country with a transfer pending form I-20 from the school that you plan to attend. If you are traveling out of the country and there is more than five months between transferring schools, please inform both schools of your travel plans and re-enter the country with an initial form I-20 from the school that you plan to attend. Access up-to-date information for current and prospective students about studying at universities in the United States. The Department of Homeland Security provides detailed instructions, tutorials, and more to make the process simple and easy.